All-Star weekend is here, marking the de facto 2/3 of the season being over point. There are six events this weekend, starting today (2/12,) and ending Sunday night with the conclusion of the all-star game. The format of the weekend, though, is hard to keep track of. Here is a basic summary of each event. The NBA All-Star Celebrity Game features two teams that are consisted of Canadians and/or celebrities contributing to Canada on one team, and Americans on the other team. Team Canada (Gold) holds the home-court advantage due to the festivities taking place in the Canadian city of Toronto. They are coached by recording artist and partial Toronto Raptors’ owner Drake, and playing for the team are actors Stephan James from “Race,” Win Butler from “Arcade Fire,” the Scotts, Drew and Benjamin from “Property Brothers,” the multi-talented Kris Wu, tennis player Milos Raonic, former NBA players Rick Fox and Tracy McGrady, and former WNBA player Tammy Sutton-Brown. Team USA (Black) will be coached by actor and former four time Celebrity Game MVP Kevin Hart. Playing for the team are actors Jason Sudekish from “Race,” Anthony Anderson from “Blackish,” Joel David Moore, Nick Cannon, former NBA players Chauncey Billups and Muggsy Bogues, Milwaukee Bucks co-owner Marc Larsy, and WNBA player Elena Delle Donne. No matter who wins, it should be a good game, and one featuring great competition with an uptick in former NBA players from previous year. The BBVA Rising Stars Challenge is the annual competition between the best rookies and sophomores from the U.S. and the World. 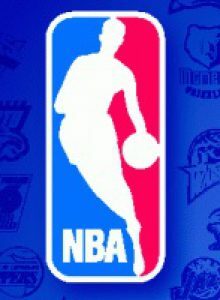 This game’s format has changed over the years, and it’s United States vs. the world format that it currently uses is possible because of the great amount of international players that flock to the NBA nowadays. The United States team features Magic guard Elfrid Payton, Lakers guards D’Angelo Russell and Jordan Clarkson, Timberwolves guard Zach LaVine, Jazz guard Rodney Hood, Celtics guard Marcus Smart, 76ers center Jahlil Okafor, Bucks forward Jabari Parker, Timberwolves big man Karl-Anthony Towns, and Suns guard Devin Booker, who will replace injured 76er Nerlens Noel. The World team features Brazilian guard Raul Neto, Congo-born Nuggets guard Emmanuel Mudiay, Bosnian Nets wing Bojan Bogdanovic, Croatian Magic wing Mario Hezonja, Canadian Timberwolves wing Andrew Wiggins, Canadian Jazz forward Trey Lyles, Swiss Rockets Center Clint Capela, Serbian Nuggets center Nikola Jokic, Latvian Knicks big man Kristaps Porzingis, and Canadian Mavericks center Dwight Powell. The world team won the game last year, but this year is very much so up for grabs. The Taco Bell Skills Challenge is traditionally a guard oriented event, and it is an assortment of dribbling, passing, and shooting drills. The player who successfully completes the drills in the least amount of time wins. This year’s competitors are Nuggets guard Emmanuel Mudiay, Celtics guard Isaiah Thomas, Lakers guard Jordan Clarkson, Trailblazers guard C.J.McCollum, Warriors forward Draymond Green, Kings big man DeMarcus Cousins, Pelicans big man Anthony Davis, and Timberwolves big man Karl-Anthony Towns. Rockets guard Patrick Beverly won the competition last year, and Mudiay will replace Beverly in the game due to injury. This competition, like many in the weekend, doesn’t always bring about it the most effort, especially from players in multiple events, but it should be fun to watch nonetheless. The Foot Locker Three Point Contest is an all-star game classic. Players who have limited roles on their team can really show off in this contest if they can shoot the three ball, like two-time champion Jason Kapono did in 2007 and 2008, while Chicago’s Craig Hodges was three three time defending champion in the early 90s. The contest has not changed since it originated. Each player shoots from five spots: the two corners, the two extensions of the free throw line, and the top of the key. From each spot, the player gets five basketballs, each worth one point besides the last one on each rack, which is worth two points and designated by the presence of an ABA ball instead of an NBA one. Phoenix’s Devin Booker, Portland’s C.J. McCollum, Los Angeles’ (Clippers) J.J. Redick, Toronto’s Kyle Lowry, Milwaukee’s Khris Middleton, Houston’s James Harden, and Golden State Warriors Klay Thompson and Stephen Curry are the participants, and Curry is the defending champion from last year. It is hard to bet against Curry in anything, let alone a shooting competition, but it should be a good one nonetheless. In what is easily the most exciting contest of the break, there are four great players set to showcase their athleticism in an event that allows them to do so. There are two rounds. In round one, four players get two dunks each. The highest score each dunk can get is a 50, and the two players with the highest cumulative scores move on to round two. Round two is the same way, but the person with the highest cumulative score is crowned the champion. The participants in this year’s contest are Orlando’s Aaron Gordon, Detroit’s Andre Drummond, Denver’s Will Barton, and Minnesota’s Zach LaVine, who is the defending champion. If LaVine doesn’t repeat as champion, Gordon is the safest bet as the candidate with the most size and athleticism combined, but what ends up winning this contest is creativity. The All-Star Game is the main event of this weekend. It is the only event on Sunday, and it features the best of the best in the entire NBA. The game is between two conferences, the East and West, and the team that wins’ best player is almost always crowned game MVP. The Eastern Conference will be coached by Cleveland’s Tyronn Lue. He coaches LeBron James, Dwyane Wade, Paul George, Carmelo Anthony, Kyle Lowry, Pau Gasol, Al Horford, Andre Drummond, DeMar Derozan, Paul Millsap, Isaiah Thomas, and John Wall. The Western Conference will be coached by San Antonio’s Gregg Popovich. He coaches Kobe Bryant, Kevin Durant, Russell Westbrook, Stephen Curry, Kawhi Leonard, Draymond Green, LaMarcus Aldridge, James Harden, Klay Thompson, Anthony Davis, and DeMarcus Cousins. The East has an overall record of 37-27 against the West, but the West appears to have the edge this year. It should be a fun, highlight filled game.